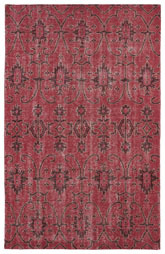 Kaleen rugs are some of the most well-known in the world of area rugs, and they continue to surprise and delight the people who purchase them year after year. 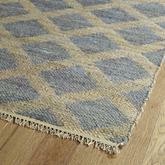 These rugs are beautiful and available in both hand made and machine made options to help you find exactly the right style for the budget you have to work with. 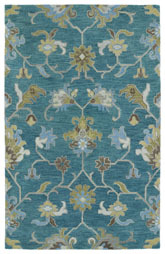 With a Kaleen rug, your room will look as amazing as you want it to, and you’re sure to enjoy the comfort and quality that comes from every one of these stylish works of textile art. 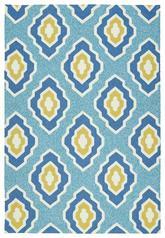 Bring home one or more of them today and see for yourself what a difference this company makes. 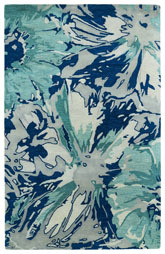 Kaleen area rugs have been an important part of the rug scene for many years and they aren’t going anywhere anytime soon. 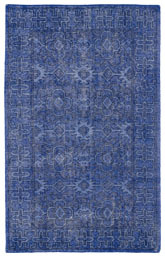 These rugs are produced from the company’s headquarters in Mumbai, which means they’re coming directly from India with no “middle man.” The company works in conjunction with its United States based locations as well to ensure that all rugs are available to the public in a timely manner and that quality control is a top priority on every piece that they produce. 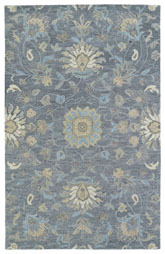 For the past four decades, Kaleen has been providing incredible rugs to customers who are happy to return to them time and time again. 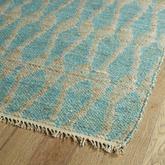 One of the biggest reasons why the Kaleen company continues to be as popular as it is today is because it focuses significantly on environmentally friendly production processes. 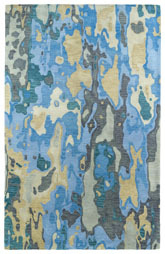 All of the facilities owned and operated by Kaleen are eco-friendly, from the factories to the offices and everything in between. 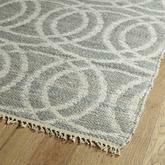 This company as even certified for its quality assurance and environmentally friendly processes. 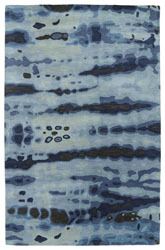 No matter how you look at it, when you want an affordable rug with a lot of durability and beauty that’s not going to harm the environment, Kaleen is the way to go. 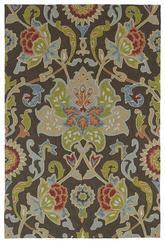 Which Area Rug Materials does Kaleen Offer? 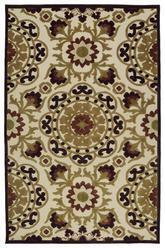 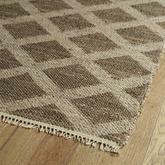 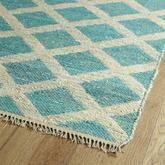 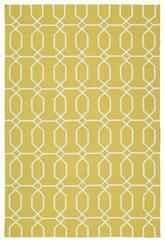 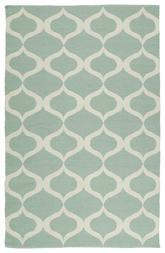 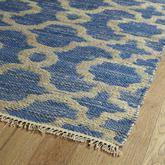 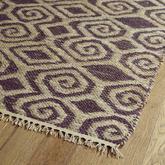 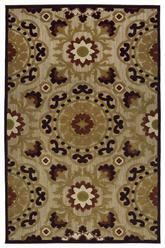 Kaleen home and porch rugs are available in just a few different materials. 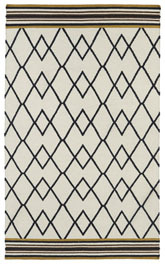 Although their fiber selection is not as large as some other companies’ options, there are still tons of great rugs to be found among the products available from this great company. 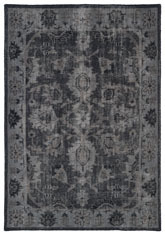 Based on all the positive Kaleen rug reviews out there, y you’re sure to be pleased with the durability and quality of any rug you choose, regardless of the material you select. 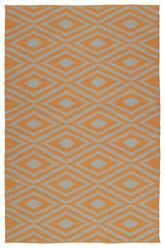 If you’re looking for something that will be a little bit more durable in the long run, however, you might want to stick to more modern synthetic manmade fibers like polyester and polypropylene. 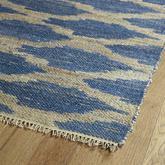 These rugs can provide you with a lot of staying power, and they’re generally easier to keep clean than natural rugs, too. 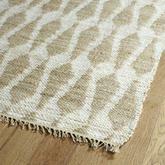 However, if you prefer something a little more environmentally minded and all-natural, you can find Kaleen rugs in both wool and jute. 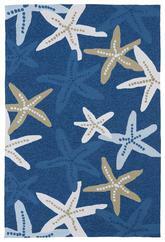 Each of these materials offers its own strengths and weaknesses, so you’ll need to decide which one is right for you before you make your final call. 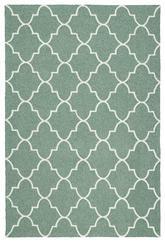 What Size Kaleen Rug Should You Buy? 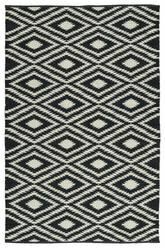 Work with smaller Kaleen rugs when you want to create a more fresh and contemporary space or if you’re looking for a great accent piece to use in any room of your home. 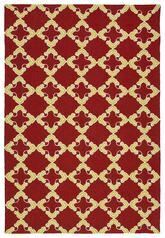 A small 2x4 rectangular rug can be a great throw rug for the kitchen, bathroom, or living room, while a Kaleen oval rug in a 4’ size is a great way to bring your dining room to life with color. 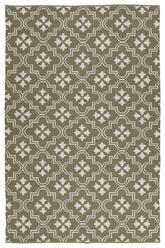 For a different type of smaller rug, choose a rug runner in 2x10 or 2x12 sizes to accent your hallway, entryway, or even to use in your dining room or living room, depending on the style you’re working with. 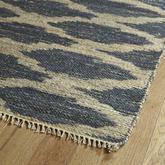 If, however, you prefer larger rugs, you’re in luck there too. 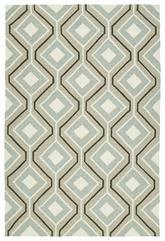 While the majority of Kaleen rugs are smaller and mid-sized, you can find several options if you’re looking for 8x10 or 10x12 rugs as well. 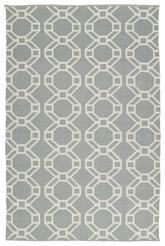 For a unique style that’s sure to make your living space pop, why not choose an 8x8 square rug instead of working with a rectangle? 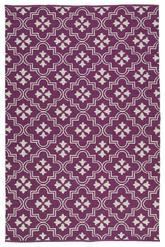 These rugs are slightly different and provide a little bit more of a modern flair that’s sure to make you and your whole family happy with the end result. 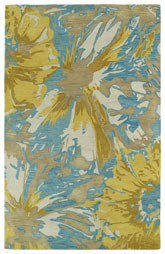 Which Styles Can Kaleen Help You Create? 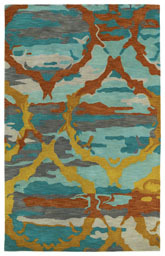 Kaleen rugs specialize in modern and contemporary looks, but you can still do a lot with transitional and even traditional rooms depending on the type of rug you choose. 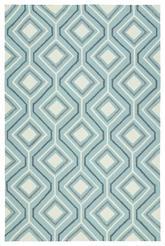 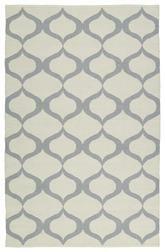 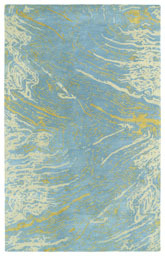 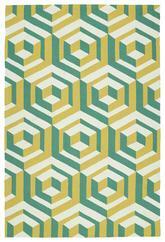 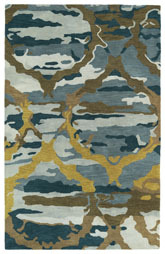 However, contemporary is a great way to go when shopping for a Kaleen brand rug. 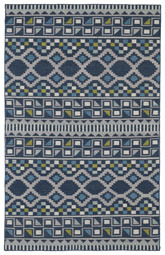 Choose a beautiful large contemporary rug in splashes of bold shades of blue or select an abstract or large repeating geometric print to help tie your modern style into the colors of your choice. 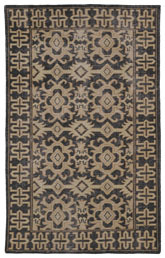 If you pair a rug like this with more traditional furnishings, you can put together a transitional room that’s sure to make you smile. 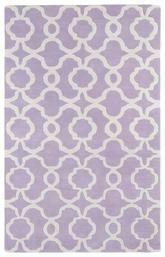 For the most traditional options from this company, stick with geometric patterns or smaller floral prints. 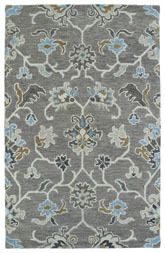 Choose rugs in muted tones like gray, soft blue, navy blue, and rust, and be sure to select the right kind of furnishings to balance them out as well. 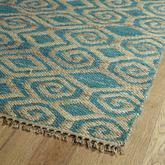 Traditional rugs are best when you choose wool, but you can also select a manmade material to give yourself a little more strength in your final rug decision. 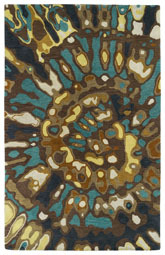 As you can see, there are a lot of great reasons to purchase a Kaleen rug! 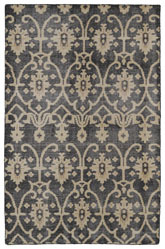 These rugs are available in tons of different styles, colors, and sizes to help you find the perfect look for your room. 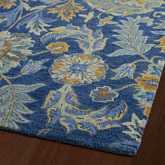 Whether you want to create a traditional, transitional, or contemporary space, and whether you want something very sophisticated and elegant or something a little more casual, you can find exactly what you need and so much more when you shop for Kaleen rugs. 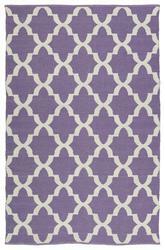 Create incredible spaces that you’ll be happy to show off to all your friends and family with a lovely Kaleen rug as the star attraction.